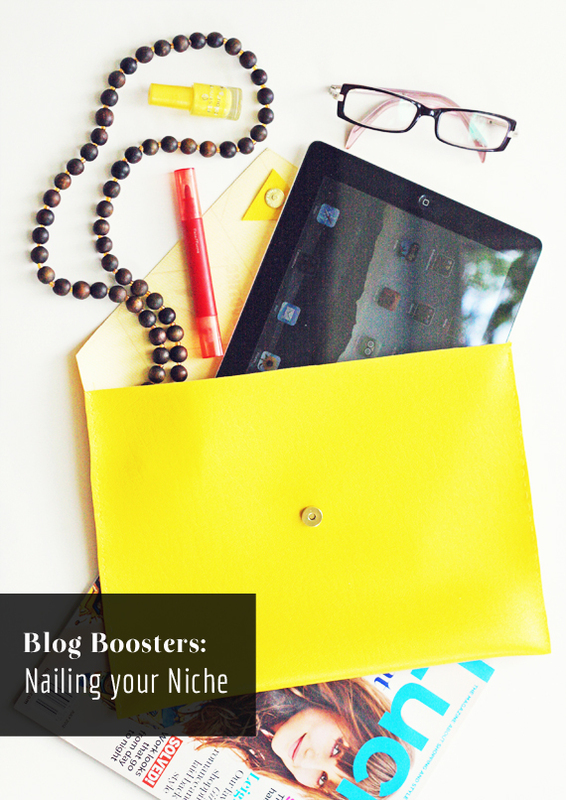 As promised, I am following up on the last Blog Boosters post, with tips on how to nail your niche! *Please note, this is for bloggers who want to grow their blog as a business they enjoy. If you blog strictly for personal reasons, these tips should not apply;) These posts are based off of what I have observed and experienced as a blogger, and also based off of the questions I have received from readers! Whether you like it or not, readers who visit your blog are going to immediately categorize your blog by the previous 5 posts displayed. Its just the way our minds work. Think of it like walking by a storefront and concluding based off of what is displayed, what the store contains. Thus, its important to ask yourself what you would like visitors to take away from their first visit of your blog. I obviously am not strictly one topic or another, but I did finally manage to narrow down the topics by what I was passionate about, what interested me, and also what was connecting with readers. 1) What do I love to write, photograph, document, and create most? 2) What are my strong points and what steps should I take to develop them further? 3) Who is my target audience? What do they respond best to? For Example - If I were to introduce IHOD to a someone, I would introduce it as a Fashion (Lookbook, DIY, and Style posts) and Lifestyle (photography, real chat, family posts) blog. It took me a while to really narrow down all my interests and things I wanted to share. I have had some series that I thought would be long runners that only got a few posts, while others started as an occasional here and there that became main attractions. For instance, I shared a few From My Kitchen posts which were very fun to do and had a great response. However, I don't have a passion for cooking and there was a lot of time involved to create the posts, so I couldn't stick with that series. DIY's on the other hand is something that was already worked into my life. 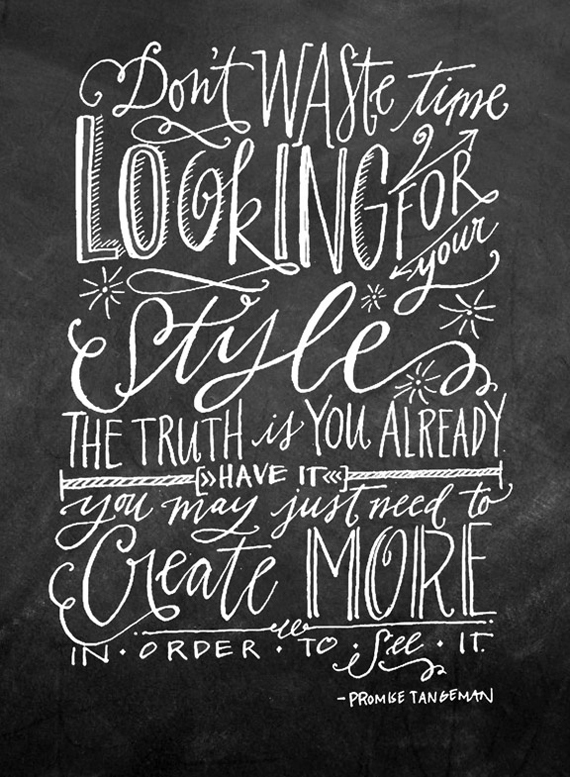 I am always looking to re-work my wardrobe, I have craft stock from my accessory business, and I love to create. It came naturally, and they have become my #1 source of traffic here on the blog. This is why it has been easier for me to make the DIY series a regular part of my weekly posting. Can't Decide? Take a Poll and Ask your Readers - If you don't think you can quite narrow down your topics and niche, ask a few close friends what they look forward to on your blog. Create a poll for your sidebar for readers to vote what they want to see more of. You could also conduct a vote through your facebook page. Use your analytics! What is gaining the most traffic? What is getting more interaction from readers? If the content is interesting, readers will engage or share! There are great sites and resources available to help you figure this out. Blogger - Blogger now has blogger stats which helps you determine pageviews per post and top traffic sources. Google Analytics - I use google analytics for a more specific breakdown of information. Its free to use, and helps to know where your major traffic sources are coming from, what countries are visiting, how many unique visitors versus regular visitors, etc. HooteSuite- This site has multiple benefits to help you manage your social media platforms, as well as measure the reach of your links. Its free to use with a very user friendly interface. You can create your links here as well as attach images. The shortened url you create will then save the link to your dashboard to analyze the reach later. Facebook Fan Page Statistics - If you have a blog or website, a fan page is important to set up to help you get to know your audience on a more engaged level and understand your reach. That is why its a better option over a standard facebook profile or group page. Fan pages now have fantastic statistics information that you can access through the top of your page which measures the interaction of your links, the number of active users, your fans ages, and even what states and countries are visiting most. This has really helped me understand my target audience on a better level. Bitly - Its another way to shorten, save, and organize all of the links you are sharing as well as view stats on their reach. Free to sign up. What sites do you love to help you keep track of things? Once you feel you have found your niche, run with it. Think of the angle that will challenge you to do something bigger, and that is something unforgettable to your readers. Believe me, there are days where it is much easier for me to share a pretty photo than to create unique content, but mediocrity won't grow your blog naturally, it will most likely cease to grow. For example, I look forward to series such as Emmadime's Top Notch Type, You Are My Fave's Themes in a Box, Bri Emery's Style series, House of Earnest's Handmade posts, and the list goes on! So glad you posted this! It's so easy to get swept up in mimicking other blogs you love and it's great to get that reality check to stay true to your blog and its niche. Love the typography!! Great reminder!! Thank you so much for sharing thse tips! As a new blogger it's so helpful to make sure I'm on the right path! Love these grow your blog posts! I very recently started blogging and it's great to get tips from such a successful blogger! Will be putting your tips to use for sure! Keep up the awesome work! great post! we can never be reminded enough to be authentic to our own gifts. Thank you! You have some great tips here Anna.... thanks for sharing! awesome tips - thanks so much for putting this together! Thanks for the tips Anna! I have so many different interests, so it's hard for me to find that niche, but I feel like I'm getting closer! Love how you share these things Anna, you're such a pro in blogging! Have a sweet day! Great tips! I always love to gain knowledge from experienced bloggers! Definitely keeping these things in mind! Thank you for the blog booster posts. They have been so helpful to me. I started my blog recently and am looking for ways to improve it each day. Although, I have no idea how to increase (or should I say create) traffic. Do you have any suggestions? It's a bit frustrating. found u through Debby - wanna be blog friends/followers? I really need to get more feedback from my readers but feel oddly uncomfortable doing that. But you're so right- they know what's best and they could help me more than anyone else.